Business strategy, competition, growth, technology, talent, restructuring, regulation, economic conditions, etc. are continually driving business change. Proactively recognizing and embracing change and transforming (and continually improving) business processes are essential to surviving and thriving in today’s business environment. What is Business Process Re-engineering? Business Process Re-engineering (BPR) spans a continuum of process change from Incremental improvement and business process redesign to transformational business process re-engineering. 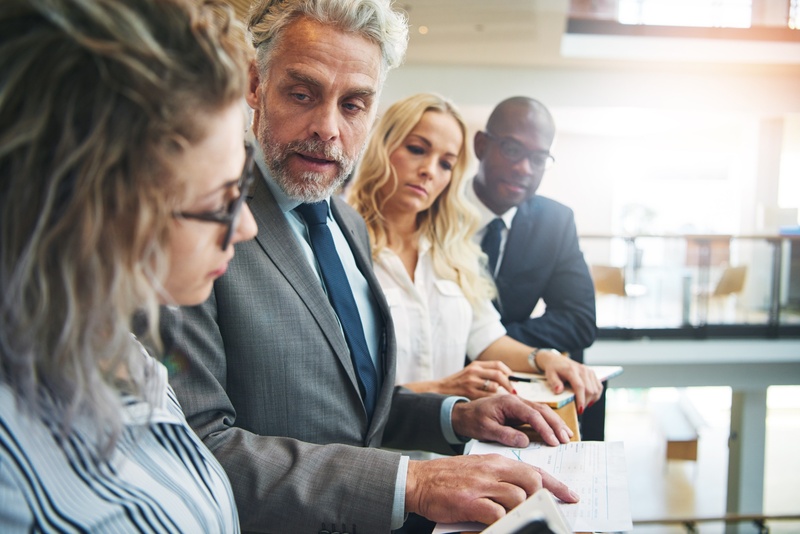 Incremental improvement and business process redesign is successful in departmental and cross-departmental initiatives that have specific tactical objectives. Transformational BPR applies to cross-enterprise initiatives that disrupt and transform (rather than incrementally change) business process - workflows, roles, business policies and procedures, supporting technology and underlying business rules. This requires new ways of thinking – doing new things in new ways - to achieve break-through results in organizational effectiveness and operational efficiency. Transformational business process re-engineering is complex and has many interrelated moving parts. Transformational change is essential for many organizations to adapt and thrive in today’s rapidly changing and globally competitive business environment. Regardless of the degree of change, Inteq’s Business Process Re-engineering training provides a cohesive best practice approach to business process re-engineering from 360° (vertically and horizontally) across workflows across the organization. Inteq’s Business Process Re-engineering training provides you and your team with the skills, techniques and methods to apply the right level of change to the right functions and processes at the right time. This ensures that changes in business processes, supporting technologies and organizational culture come together synergistically to deliver rapid, successful, sustainable results. Inteq’s Business Process Re-engineering training course enables you and your team to hit the ground running and produce actionable results quickly. 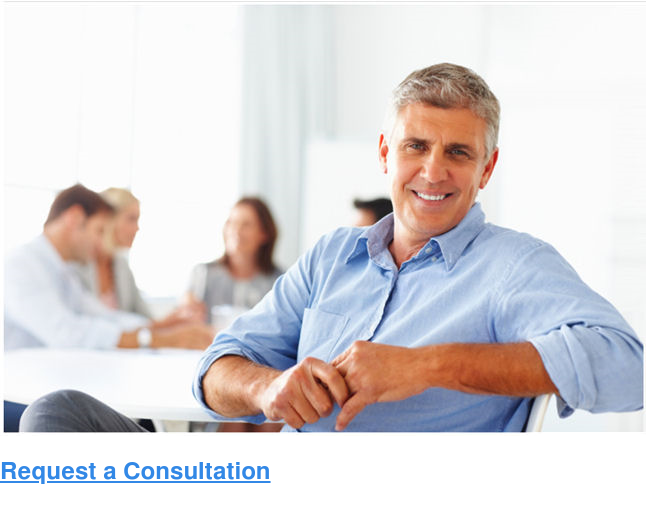 Inteq’s Business Process Re-engineering training is a highly interactive high-energy program. It’s specifically designed to enable you and your organization to succeed in today's rapidly changing, complex chaotic business environment. The concepts and content of Inteq’s Business Process Re-engineering training are based on years of best practices gleaned from thousands of business analysis interactions across the spectrum of industries and subject matter domains across the commercial and public sectors. It’s your roadmap for developing enterprise-level business process re-engineering skills. Participants in Inteq's Business Process Re-engineering training receive a comprehensive course workbook, supplemental materials, and a personalized Certificate of Completion indicating CEU (continuing education unit) credits awarded. Inteq's Business Process Re-engineering Training course is more than education; its transformation - for the participants, project teams and their organizations. That’s why over 300,000 business and I.T. professionals worldwide choose Inteq's business analysis training courses. What is Business Process Re-engineering? Participants re-engineer a complex real-world cross-enterprise business process. This case study provides an invaluable template that you and your team can leverage to jump start BPR in your organization. Inteq's Business Process Re-engineering training course is designed for Business Analysts, Business Systems Analysts, Business Process Analysts, Project Managers, IT Professionals, Subject Matter Experts and other stakeholders involved with improving and re-engineering business processes. None. Inteq's Business Process Re-engineering training course provides a comprehensive and cohesive approach to business process improvement and re-engineering regardless of background and level of experience. Inteq's Business Process Modeling training course is designed as a precursor to and seamlessly integrates with Business Process Management, but is not a prerequisite. Business Process Re-engineering also seamlessly integrates with Inteq's Agile Business Analysis training course. Anytime eLearning™ participants have 60-days to complete the course (most participants complete the course over 1-3 weeks). Participants can to go back and review the material at their own pace and time schedule to reinforce and further internalize the concepts. Best practices to achieve sustainable incremental and transformational change. An integrated approach to transform business processes from 360° across the enterprise. To apply a sophisticated toolkit of over 50 specific, proven, practical high impact re-engineering tactics. To utilize the process change continuum to define and validate project mission and scope. To ensure the results are integrated into your organization's culture and are sustainable over time. Critical thinking skills, conceptual knowledge and best practice techniques that transform legacy processes into efficient, lean, effective forward facing processes. To enable analysts, subject matter experts and other stakeholders to challenge and disrupt existing business processes, workflows and underlying business rules. 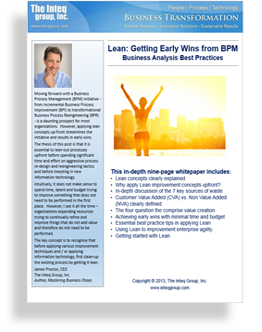 Best practices from Agile, Six Sigma, Lean and TQM that business analysts can confidently and immediately apply to business processes across your organization. Why apply Lean improvement concepts upfront?